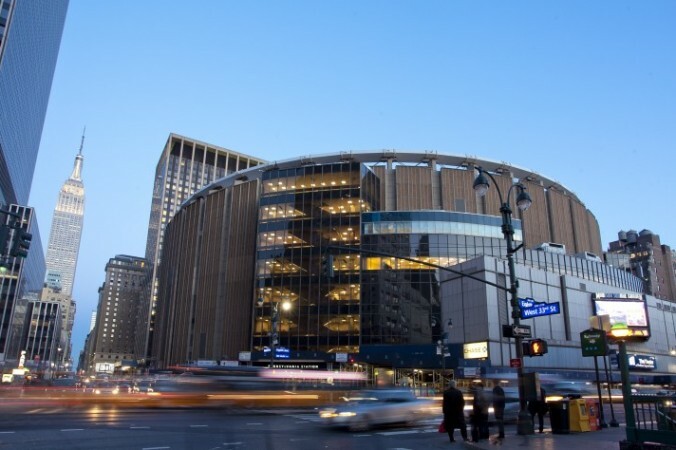 NEW YORK—City Council Speaker Christine Quinn showed her support for relocating the historic Madison Square Garden on Wednesday to allow for a new Penn Station. “Significantly improving Penn Station while Madison Square Garden sits atop it has proven to be an intractable problem, and it is my belief that finding a new location for the Garden is likely the only way to address the ongoing capacity and safety issues at Penn Station, as well as to bring this area to its best and highest use,” Quinn said in a letter addressed to Hank Ratner, president and chief executive officer of The Madison Square Garden Company. Quinn said Penn Station is “dangerous, overcrowded, lacks adequate ingress and egress, and is not fully ADA accessible,” for the more than 600,000 travelers who pass through there every day. Quinn proposed creating a Commission for a 21st Century Penn Station, which will help find a new location for Madison Square Garden and create a newer Penn Station in 10 years. Madison Square Garden is home to the New York Knicks basketball team, and the New York Rangers hockey team. Sitting on top Penn Station, it is one of the busiest transport hubs in the city. Penn Station runs LIRR, NJ Transit, Amtrack, as well as the 1, 2, and 3 lines of the MTA. The busy transit station has been in dire need of a renovation, but with The Garden above the station, improvements have been limited. The Garden had a permit for nearly 50 years, and applied for an indefinite permit from the City Planning Commission. The move was met with stiff resistance, especially from Municipal Arts Society, who said the permit should be limited to 10 years. The Planning Commission compromised on a 15-year permit that did not have to go through the Uniform Land Use Review Procedure, something Quinn said she did not support. She said the new Commission would close that loophole. The Garden is in the final year of a $980 million renovation expected to be complete this fall.